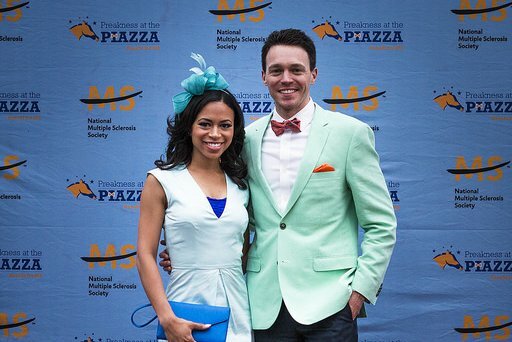 FOX29’s "Good Day Philadelphia" co-host Alex Holley and Pat Gallen of CBS3 Eyewitness News will return to host the 2017 Preakness at the Piazza. Preakness at the Piazza will return for the fifth year to celebrate the 142nd Preakness Stakes on Saturday, May 20. At the event, held at the Piazza at The Schmidt's Commons, attendees can watch the second leg of the Triple Crown on a 400-square-foot LED screen. To make the event a full-blown party, there will be an open bar, buffet, dancing and music from 5-9:30 p.m.
All attendees are encouraged to dress up for the occasion. Put on a big hat, fancy frock or standout bow tie. There will be a fashion contest to judge who has the best style. Tickets for the party are $89 per person with a $165 VIP option available. The VIP option includes a private bar, VIP cocktails and other perks. All event proceeds go to the National Multiple Sclerosis Society. “Everyone who attends helps to accelerate the progress in MS research and gives us the resources to provide programs and services to people living with the disease,” Kevin Moffitt, president of the Greater Delaware Valley Chapter of the National MS Society, stated.